Located just off the coast of Spain, Majorca is the largest island in the Balearic Islands archipelago. Sandy beaches, rocky coastlines, turquoise waters, and the warm climate all add to the popularity of the island as a holiday destination. The island's Mediterranean location and great accommodation make it a breeze to organize an escape to Majorca. While many choose to recline in the warm sunshine sipping cocktails for the majority of their visit, the island is also a wonderful place to explore the outdoors and take part in adventurous activities. The forming of Majorca created a diverse landscape filled with rocky coves, sandy beaches, caves, canyons and dramatic cliffs. This combination of terrain makes the island a perfect place for those looking to satisfy an adrenaline craving. Here are 7 fun activities that are sure to get your adventure blood pumping! The vast network of limestone caves in Majorca is one of the many adventure draws to the island. While you can visit one of the touristy caves, the best way to see what's underground is by taking a caving excursion. Discover incredible rock formations and the unique “diamond room,” a cave where the rocks shimmer like gems. Caving, though not for the claustrophobic, isn't always about having to squeeze through tiny holes. While there are some tours that cater to more serious cavers, there are also plenty that don't require much physical fitness and where you won't have to wriggle through impossible slots. Choose the caving expedition that you'll be most comfortable with. 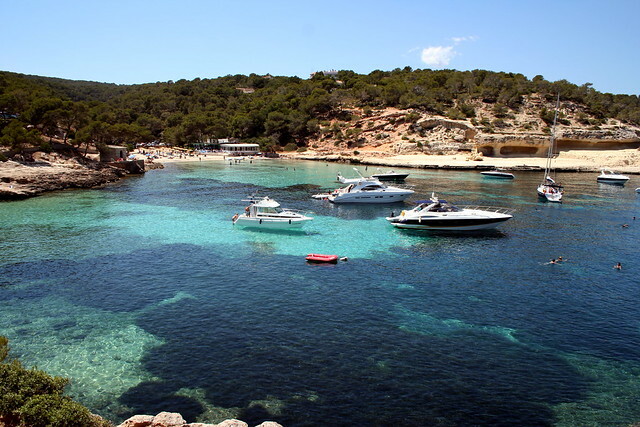 Being an island, Majorca is a paradise for those looking to SCUBA dive and see the wonders of the underwater world. The crystal clear waters of the Mediterranean Sea paired with an ideal climate make diving around the island such a great activity. From reefs to caves and even a few shipwrecks, there are many fascinating dive sites to explore. There's nothing more relaxing and adventurous at the same time as boarding a kayak and paddling yourself through gorgeous scenery. The rocky coastline of Majorca and sandy beach inlets make kayaking all the more enjoyable. There's also the opportunity to paddle through water filled caves, see blowholes, and just glide through the turquoise waters. Guided sea kayaking is a fun activity for the entire family on your holidays in Majorca. Looking for one of the ultimate ways to get an adrenaline rush? 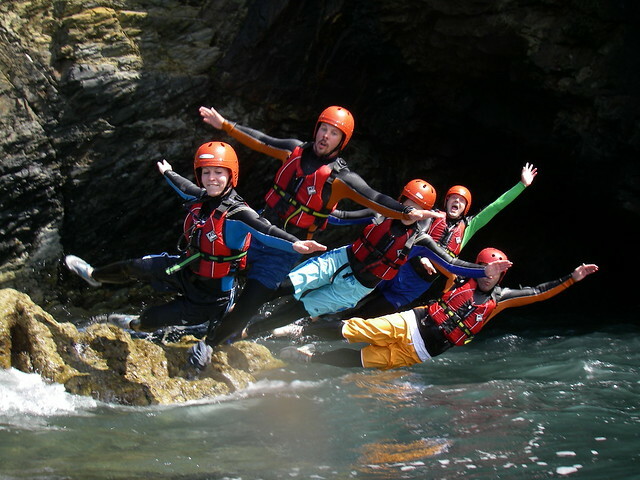 Cliff jumping might be the activity for you! Once again it's the incredible rocky terrain and coastline of Majorca that creates the perfect environment for cliff jumping. There are countless places to take a plunge from a cliff into the sparkling water below. 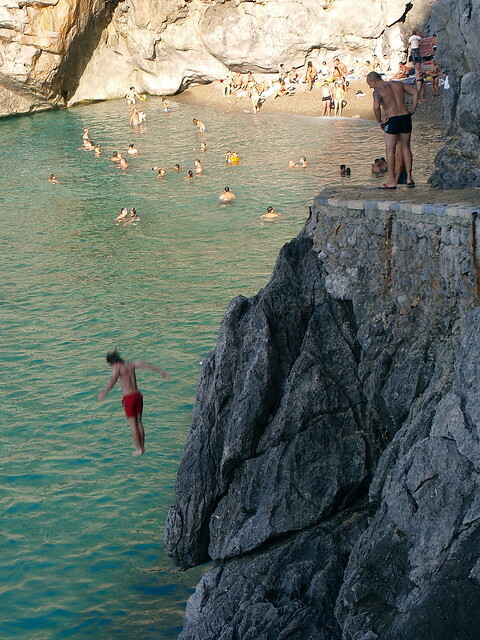 While jumping from any cliff is highly dangerous, there are a number of tour companies on the island that specialize in cliff jumping and also offer tips on safe jumping methods and secret cliff jumping spots. Coasteering, an activity that can be explained as a natural obstacle course, is a relatively new addition to the list of adventurous things to do Majorca. It involves a little bit of everything: hiking, rock climbing, swimming, cliff jumping and even rappelling. Grab a helmet, a life vest and some protective gear, and you'll be ready for an ultimate trek by foot along the rocky coastline of Majorca. Paragliding is the perfect adventure for anyone wishing to see Majorca from the sky. The mountainous terrain and the perfect wind conditions make paragliding so ideal. While some of the other activities on this list require the use of physical strength, tandem paragliding with an expert instructor really only requires you to have a little guts and a big sense of adventure. Whether you are a beginner or an expert, Majorca is a fantastic place to hop on a mountain bike and take the ride of your lifetime. The island offers a trail for just about anything from a soothing slow paced ride along the coastline to an exciting downhill mountain cruise. 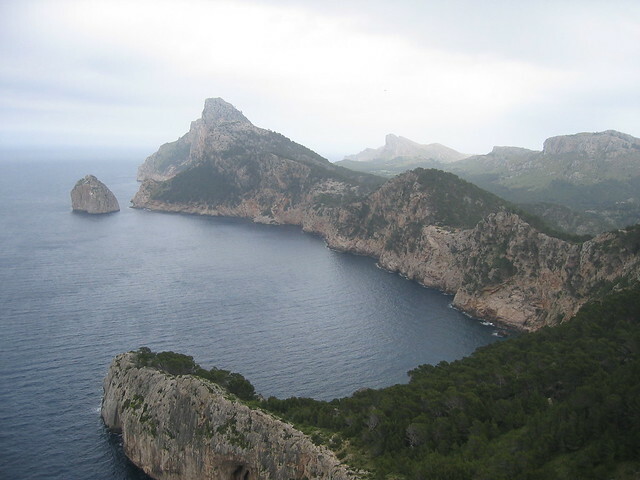 The panoramic views you'll experience on a mountain bike excursion in Majorca will be nothing short of stunning! While relaxation should be a major part of any visit to Majorca, a holiday to the island wouldn't be complete without accomplishing a few adventurous activities as well. Whether your aim is to take on the island's most adrenaline rushing activity or to take your entire family on an adventure they'll never forget, Majorca has so many opportunities waiting to be discovered.